Many of us live in smaller compact homes due to financial constraints, easy maintenance, close to work / home or all three. 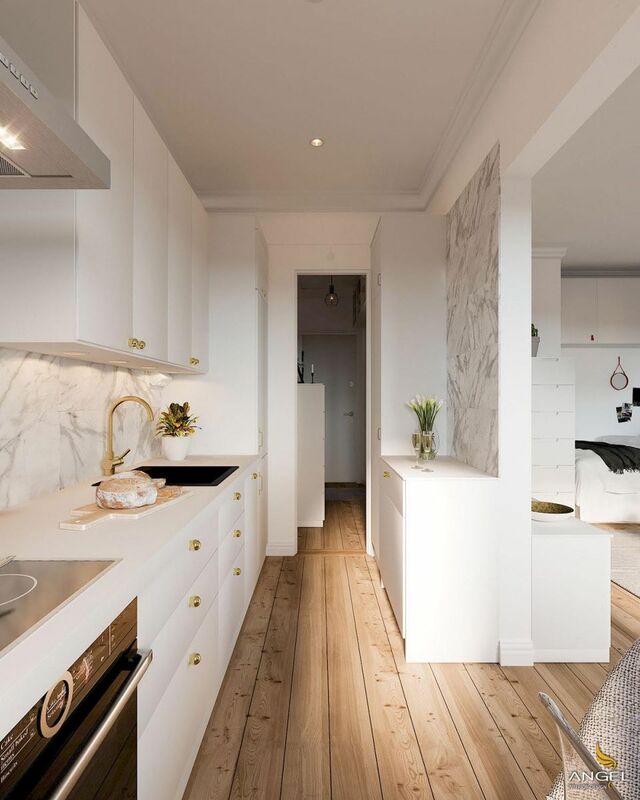 Even though the amenities, the type of housing does not have interior design can lead to feeling stuffy or encountered disorder because of space is too small. 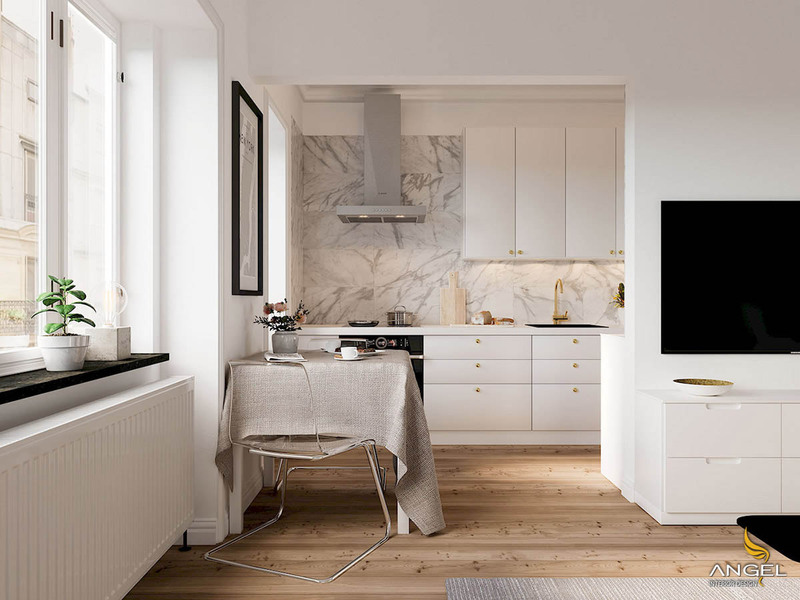 Even the decoration itself can sometimes feel like it does not exist and very little space to breathe for the apartment. 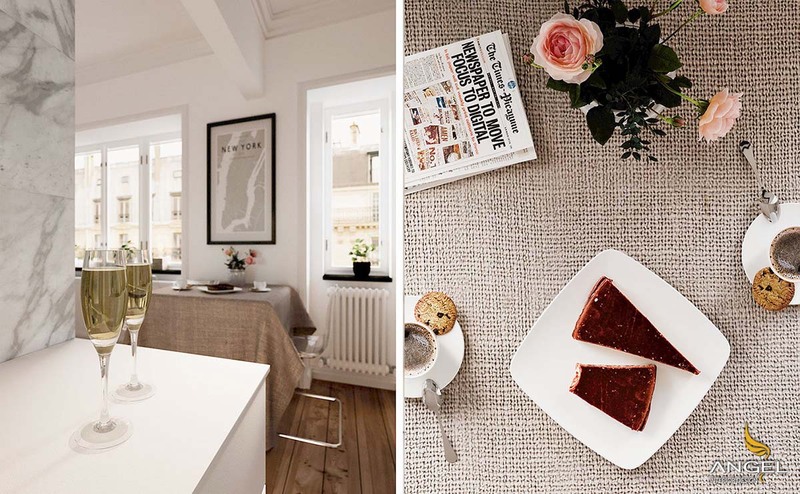 This 31 square meter space is a studio in Stockholm. 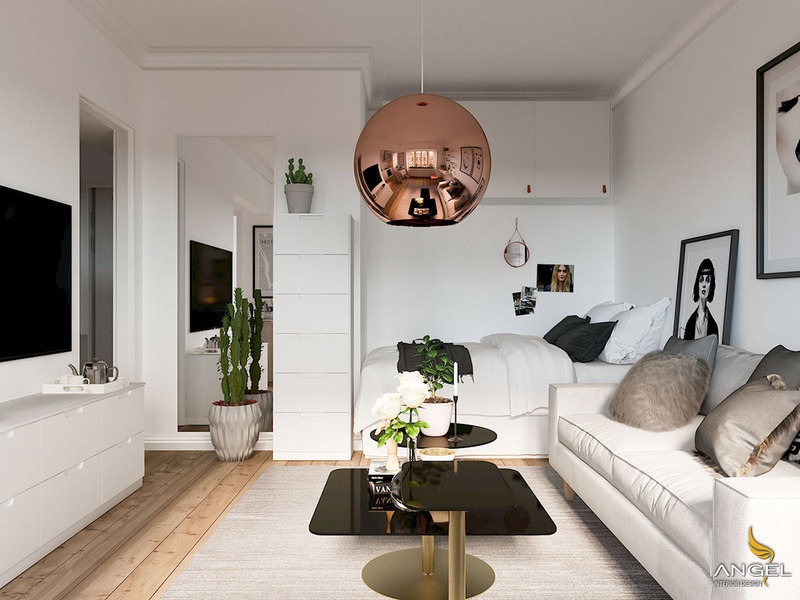 White Scandinavian living room plan is enriched with metal accents in light of copper lamp and coffee table. 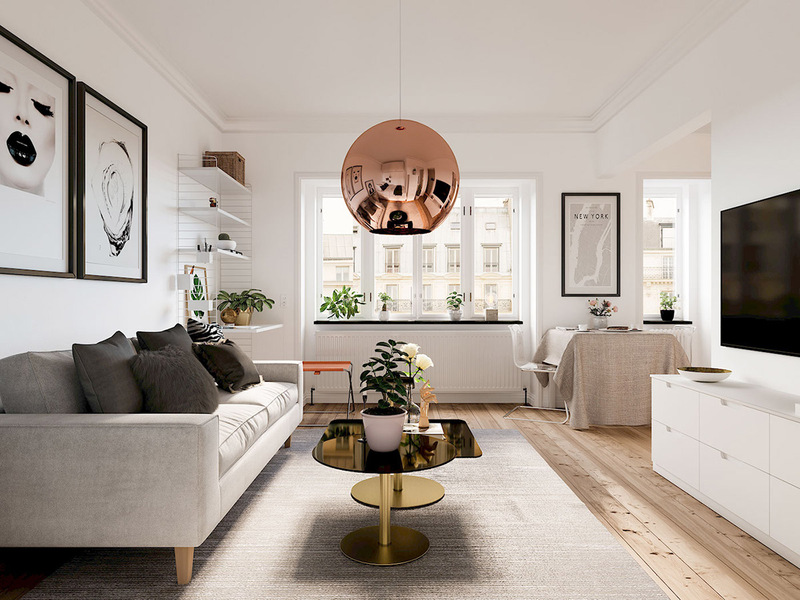 Although the rooms have small proportions, their brightly lit spheres will create the illusion of a larger space by reflecting the natural light and reflecting the room. The bed is right next to the living area - almost touching the sofa. Color cohesion means instead of space crowded crowded. White blankets mixed with white walls of the same color. Wall art collections carefully monochrome and room decoration accessories without creating confusion in color. Obviously the acrylic dining chairs disappear at the table because the gloss is so great, this will create a wider effect for your kitchen. The white interior makes the kitchen more spacious and the yellow highlights create luxury. 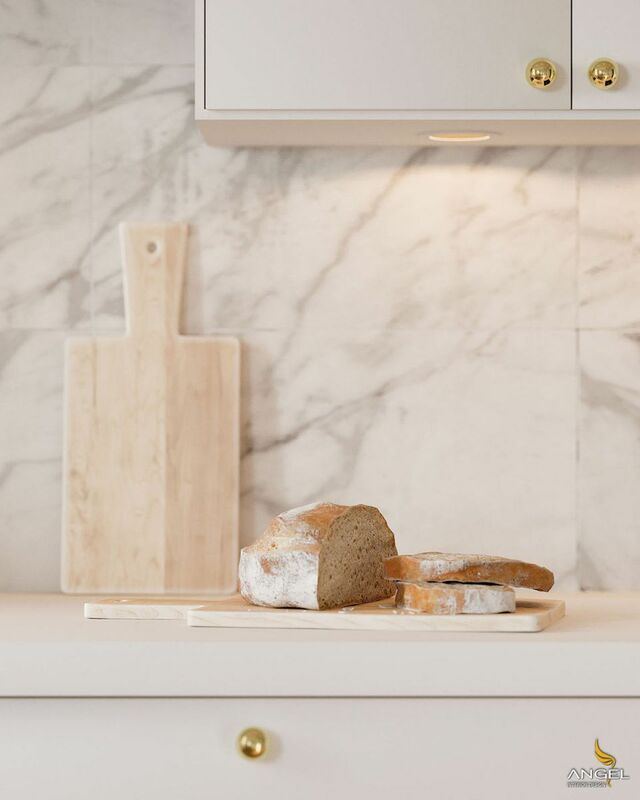 White marble is used for kitchen walls. 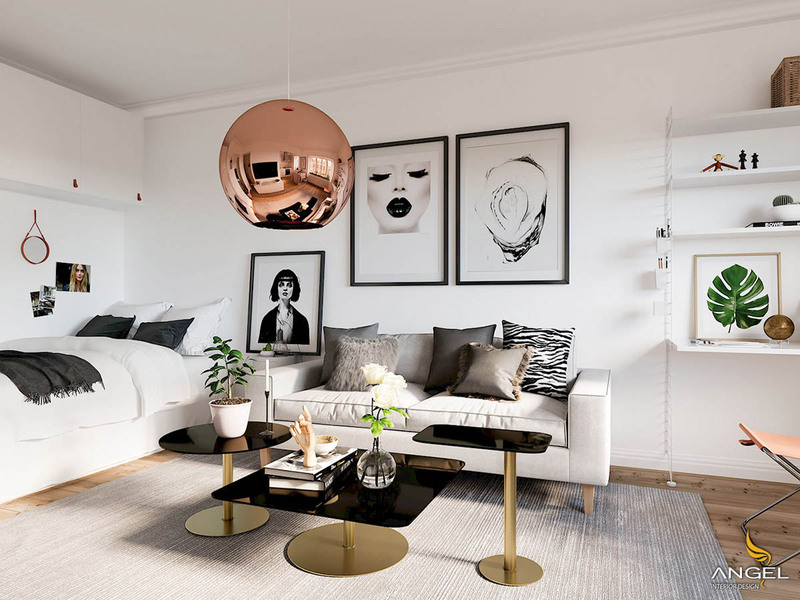 The small space can still be elegantly dislodged if we design the interior and decoration properly.